National Dengue Day has been observed on 16th of May, 2016 by Ministry of Health and Family Welfare (MoHFW), Government of India. The aim of this day is to control the Dengue through create awareness, initiate preventive actions and continue till transmission season is over. Dengue is a common viral disease spread by mosquito bite. 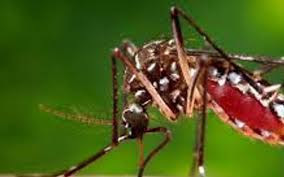 It is transmitted by a mosquito called Aedes Aegypti. It occurs in two forms. The first form is, Classical Dengue fever also known as break bone fever because of the severe pain it develops in patients’ joints. The second form is Dengue Haemorrhagic Fever which is not only painful but also deadly. It usually results in abnormal bleeding from nose, gums or as blood in urine. ccording to National Vector Borne Disease Control Programme (NVBDCP) maximum number of cases were reported from Delhi followed by Punjab, Haryana, West Bengal, Gujarat , Karnataka, Maharashtra, Kerala, Tamil Nadu, Rajasthan, Andhra Pradesh, Uttar Pradesh, Orissa, Madhya Pradesh, Arunachal Pradesh, Bihar, Uttarakhand, Telangana and other states. Prime Minister Narendra Modi launched the Narmada Seva Mission for the conservation of the crucial river, which is a lifeline of Madhya Pradesh. Narmada Seva mission plan document was prepared by the Madhya Pradesh government. On December 11, 2016 from Amarkantak, the origin place of the River Narmada Narmada Sewa Yatra was launched as the world’s biggest river conservation campaign with public participation. 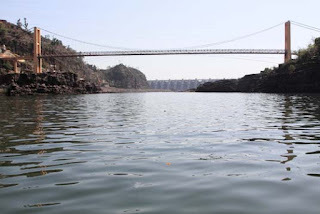 Narmada river captured the attention of the nation when it became the centre of a decades-long struggle to stop the raising of the Sardar Sarovar Dam. Medha Patkar led the campaign that demonstrators said would displace thousands, who were not being compensated. GVK group-run Mumbai airport has been crowned the world’s busiest among the single-runway facilities as it overtakes London’s Gatwick airport, which handles 757 flights a day. The airport operator and Mumbai air traffic controller (ATC) handle one of the difficult jobs in the world, as every 65 seconds an aircraft either takes off or touches down at the airport, that is, around 837 flights a day. All leading cities like New York, London, Dubai, and Singapore have more than one airport, with multiple runways. The New Delhi airport has three parallel runways in use at any given time. 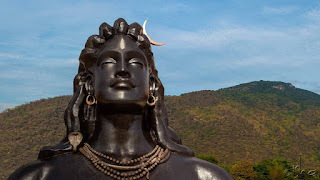 The 112 feet tall bust of ‘Adiyogi’ Lord Shiva unveiled by PM Narendra Modi on February 24 has been declared the world’s largest bust by the Guinness Book of World Records. Isha Foundation led by Guru Jaggi Vasudev had set up the Adiyogi bust which now attracts thousands of people every day. This is the second time the foundation had found itself in Guinness record books as on October 17, 2006, the foundation had entered the Guinness Book for planting millions of saplings. 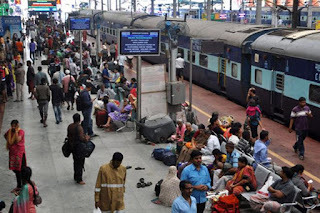 Indian Railways will install CCTV surveillance system at more than 900 stations under the Nirbhaya Fund at an approved cost of Rs500 crore to strengthen security at rail premises. Tenders will be floated shortly to install about 19,000 high definition CCTV cameras at 983 stations across the country to ensure round-the-clock security to passengers including women. The Centre had created Nirbhaya Fund with a Rs1,000 crore corpus in its 2013 Union budget to support initiatives by the government and NGOs working towards protecting the dignity and ensuring safety of women in the country. 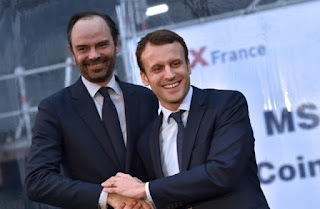 French President Emmanuel Macron has appointed Edouard Philippe, a relatively unknown 46-year-old lawmaker, as prime minister, making good on campaign promises to repopulate French politics with new faces. Philippe is the mayor of the Normandy port of Le Havre, a trained lawyer and an author of political thrillers. He's also a member of the mainstream-right Republicans party that was badly battered by Macron's victory in the presidential campaign. 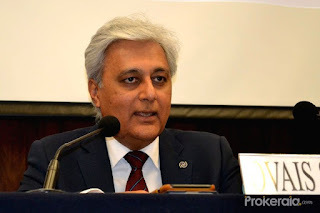 A senior Indian official has been appointed as the deputy executive secretary of the United Nations Framework Convention on Climate Change (UNFCCC), under which the landmark Paris agreement was negotiated and adopted. Sarmad will succeed Richard Kinley of Canada. Sarmad holds a Bachelor of Commerce from Hyderabad’s Osmania University, and professional certification in management accountancy from the Chartered Institute of Management Accountants in London. Sarmad currently serves as chief of staff to the director general of the International Organisation for Migration. 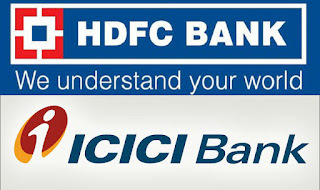 Following SBI, two leading private lenders ICICI Bank and HDFC Ltd on Monday slashed interest rate by up to 0.3 percent for loans of up to Rs 30 lakh to promote affordable housing. The move is in keeping with the government's vision of providing homes for all by 2022. ICICI Bank too reduced interest rates by up to 0.3 percent for home loans up to Rs 30 lakh in its bid to boost affordable housing. 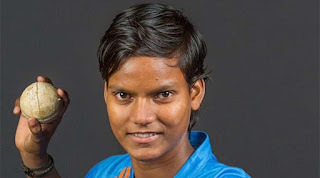 Deepti Sharma and Poonam Raut scripted history against Ireland. They are the first pair to put on a 300-run stand in Women's ODIs. Deepti and Raut had an opening partnership of 320 before the former fell for 188. Deepti is the first Indian to score over 150 and now has the second highest individual score in ODIs after Belinda Clarke's 229. Raut made 109. 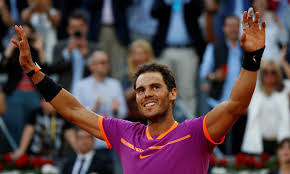 Rafael Nadal beat Dominic Thiem 7-6 (10-8) 6-4 to win his fifth Madrid Open title and move into the world's top four. Nadal, who beat defending champion Novak Djokovic in the semi-final, has now won his 30th ATP World Tour Masters 1000 title, tying the all-time record with Serbia's Djokovic. 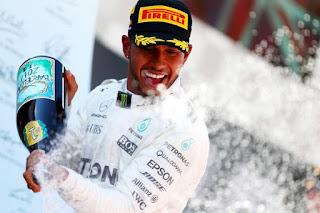 Lewis Hamilton won the Spanish Grand Prix from pole position to cut Sebastian Vettel's overall lead in the Formula One championship to six points with a quarter of the season completed. The Mercedes driver's 55th career win was hard-fought and tense. Ferrari's Sebastian Vettel finished second. The award was conferred during the first Bhairon Singh Shekhawat memorial lecture delivered by the President. 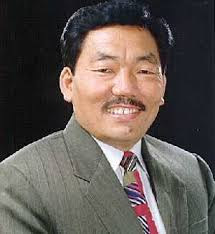 Chamling, who was first elected to power in 1994 and has continued to be chief minister for 22 years, lauded former vice-president Shekhawat as a visionary leader who cared for his people. 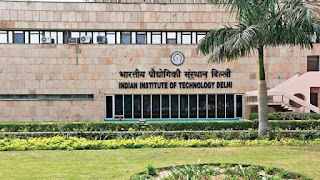 A team of Indian Institute of Techonology (IIT) Delhi researchers was awarded the startups national award 2017 by the technology development board for creating a technology that protects against air pollutants and minimises the risk of respiratory diseases. The team includes faculty members professor Manjeet Jassal and professor Ashwini K Agrawal, alumni Sanjeev Jain, Prateek Sharma, Tushar Vyas and a student Jatin Kewlani. The device -'Nasofilters' -is a Nano-respiratory filter, which is ready for commercialisation and can protect against the finest particulate pollutants. 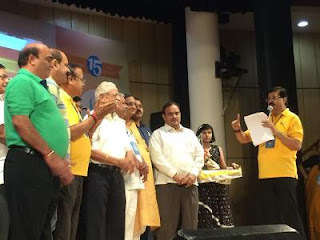 The award, which was given by Rajya Sabha MP R K Sinha and conferred by Navratan Foundation, a local NGO working in the field of culture, environment and women empowerment, was conferred on FONRWA for actively raising various citizen issues at concerned forums and resolving different public grievance issues for the welfare of Noida residents. 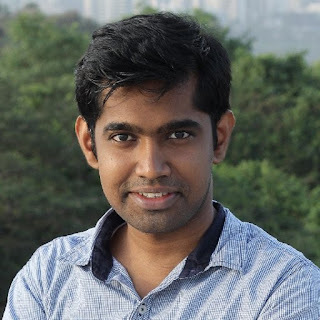 Aravind Kumar Rengan, Assistant Professor, Department of Biomedical Engineering, Indian Institute of Technology – Hyderabad has been awarded the prestigious Indian National Science Academy (INSA) medal in the Young Scientist category for 2017. He is being recognised for having devised a novel way of nano delivery using liposomes and gold nano particles. This is useful for both imaging and therapeutics. His research work was published in the journal of NANOSCALE (Impact factor 7.76) and ACS NANO LETTERS (Impact Factor: 13.78) both being prestigious journals in nanotechnology. Dr Aravind’s entire bio-engineering research work was carried out in India, bringing credits to our country in the International arena. Since 1974, INSA annually presents the Young Scientist Award to distinguish young scientists who have made notable research contributions in science and technology. The INSA Young Scientist Medal award carries a bronze medal and a cash prize of Rs 25,000. There are some other incentives attached with this award as well. 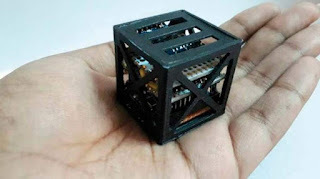 An 18-year-old boy from Tamil Nadu has created the world's smallest satellite, naming it 'KalamSat'. Sharook's satellite will be launched by NASA on June 21 from Wallops Island. The main role of the satellite will be to demonstrate the performance of 3-D printed carbon fibre. Sharook is known to have build the satellite from scratch and his project was funded by an organisation called 'Space Kidz India'. 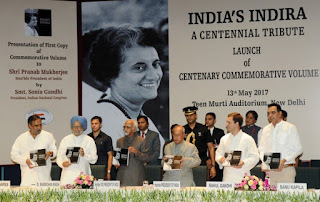 President Pranab Mukherjee has received the first copy of book “India’s Indira: A Centennial Tribute” in New Delhi. Mukherjee has also written a chapter in the book, which was released by vice-president M Hamid Ansari. Senior leader Anand Sharma has edited the book.